This item has been discontinued by the manufacturer. Please see the Physio-Control LIFEPAK® 12/15/20 Masimo SET® LNCS DCI Adult Reusable Sensor for the recommended replacement. 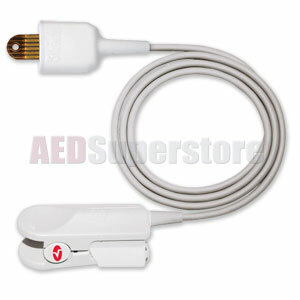 You may also need to change the patient cable to the Physio-Control LIFEPAK 12/15/20 Patient Cable Masimo SET LNCS. Masimo SET LNOP DCI SpO2 Sensor-Adult Reusable by Physio-Control. For use with the LIFEPAK 12, LIFEPAK 15, or LIFEPAK 20 monitor/defibrillator.